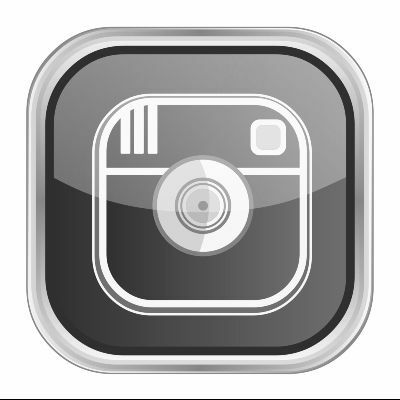 There’s more to Instagram than meets the eye when it comes to gaining success. You could be posting the best images in the world, but if you haven’t got the followers then what’s the point? It may take a long time to gain a loyal group of followers, but – if done correctly – it can be a great asset to your business. Instagram requires you to be more creative than other social media platforms; to be successful, you need to produce engaging images that tell your story. If your products or services are highly visual, that won’t be a problem. But if your business doesn’t naturally generate images, it can be a challenge; think about ways of generating images that capture your philosophy or the benefits you deliver for clients. For example, if you are a business coach, you may like to merge inspirational quotes with inspiring images. Posting a thousand images one day then going quiet for a month can harm your chances of success. Make sure to post a few at a time at the right times over the course of the week; you can read our blog about the best times to post during the day here. If people can see that you’re posting images on a regular basis, they’ll be more inclined to follow you over an account that last posted several months ago. Share your followers’ content: If your followers feel they’re appreciated by you for their loyalty, they are much more likely to share your content in return and therefore you’ll be seen by their followers too. Create a contest: Create a post explaining the details of an upcoming contest. You could tell them to share your product and be entered to win a prize. This way you’ll be gaining brand awareness and solidifying a bond with your followers. Praise new followers: Make sure to thank new followers. The best way to do this on Instagram is by creating an image that says, ‘Thank you new followers!’ then tag them so they can share and comment. A trap many people fall into is regurgitating the same content over and over. It’s easyto post the same image many times over a week with the same hashtags, but people will soon get tired of the repetition and very likely unfollow you. To counter this, stand out from the crowd! Post original, witty, funny and light-hearted content that will get your followers talking. Make sure your hashtags are varied by choosing different words that still relate to what you’re trying to get across. Using the same hashtags again and again can be seen as a generic sales pitch, rather than something fun for your followers to get involved with. Posting on Instagram shouldn’t be seen as a chore, but something fun to do each day. If you enjoy posting it comes across in your content, which will improve your chances of gaining more followers and ultimately boosting your brand awareness. We offer social media training where we cover all the platforms in detail and recommend where you should be posting your content and how to grow followers.